I wanted to thank the CMSS community for the very warm welcome I have received. I’m excited to work with all of you to build on Norm Kahn’s legacy and take CMSS to the next level. I’ve interviewed almost all of our specialty society member CEOs and have begun to distill the highest priority strategic opportunities for CMSS. I will be working with the CMSS Board and CEOs to identify our top programmatic and organizational priorities. I’m committed to working with all of you to identify where we can be stronger collectively and have greater impact by working together. In this issue of NewBriefs, I’m going to focus my remarks on three areas: 1) Clinical registries, 2) Continuing board certification and 3) Component Groups and Spring Meeting May 11-12. Clinical registries continue to be a very high priority for many of our societies. I have heard many of your concerns with the QCDR process, met with CMS QCDR leadership, and I have been invited to participate in a LEAN improvement event on the QCDR process with CMS. We have planned a great program for the CMSS Summit on the Future of Clinical Registries. This will be a great forum for sharing innovation and ideas, while considering the perspective of big data, EHRs, payers, patients and health systems to identify the threats and opportunities for registries going forward. I am pleased to announce that we will have plenary presentations from Robert Califf (Duke/Verily), Don Rucker, the National Coordinator for Health IT, and Tim Ferris (MGH/Partners/PTAC). We are looking forward to working with all of you at all stages of registry planning and implementation to ensure that your registries can drive significant improvements in care. We are also very excited to launch our new PCORI award on patient engagement with clinical registries at the Summit. Continuing board certification: We are working hard to ensure that the voice of the specialty societies is heard by the Continuing Board Certification: Vision for the Future Commission. Specialty societies provided both oral and written testimony. There is also an opportunity for specialty societies to encourage their physician members to participate in an online survey to help envision the future of continuing certification. The deadline for the survey has been extended to May 11. Also, we have been working to collect information from hospitals and health plans to better understand how certification is used in credentialing. Spring Meeting and Component Groups: Our membership survey from December identified the component groups as the greatest member value in CMSS (83% rated component groups as extremely or highly valuable). We are building more infrastructure for the component groups, including community platforms, to enhance the work of the groups. We are pleased to announce that we have one new component group, the Physician EHR Coalition, which we jointly support with the Healthcare Information and Management Systems Society (HIMSS). PEHRC currently includes more than 20 specialty societies and focuses on ways to improve usability and interoperability of EHRs. Many of the component groups will convene at the CMSS Spring Meeting May 11-12 in Chicago. We have devoted more time in the program for report-outs from the component groups. In addition, we have also created a component group of our Component Group Chairs who will meet at the meeting to consider opportunities for shared learning and collaboration across the groups. Sue Sheridan, a patient advocate and director of patient engagement at the Society to Improve Diagnosis in Medicine will open our meeting. She will share her personal losses and reflections while focusing on what we can collectively do to improve diagnosis. 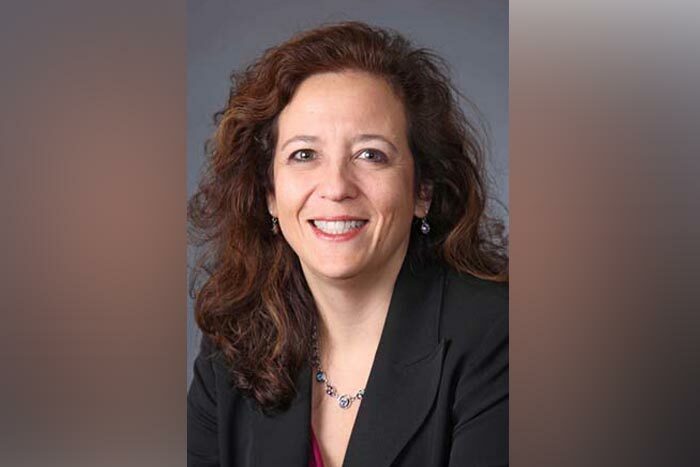 She will be followed by a reactor panel of society leaders, including Dr. Darilyn Moyer, EVP/CEO, ACP and Dr. Sandra Schneider, Associate Executive Director, ACEP who will present their society’s work in improving diagnosis. Dr. Tait Shanafelt, Jeanie & Stewart Ritchie Professor of Medicine and Chief Wellness Officer at Stanford School of Medicine, will present on strategies to reduce burnout and improve physician wellness. He will be followed by a reactor panel of society leaders who will share what their societies have been doing to address physician burnout, including Dr. Barbara Levy, Vice President, Health Policy ACOG and Clif Knight, SVP Education, AAFP. Dr. Janis Orlowski, the Chief Healthcare Officer of the AAMC will share their findings on the impact of mergers and acquisitions in healthcare. I look forward to meeting many of you in May!